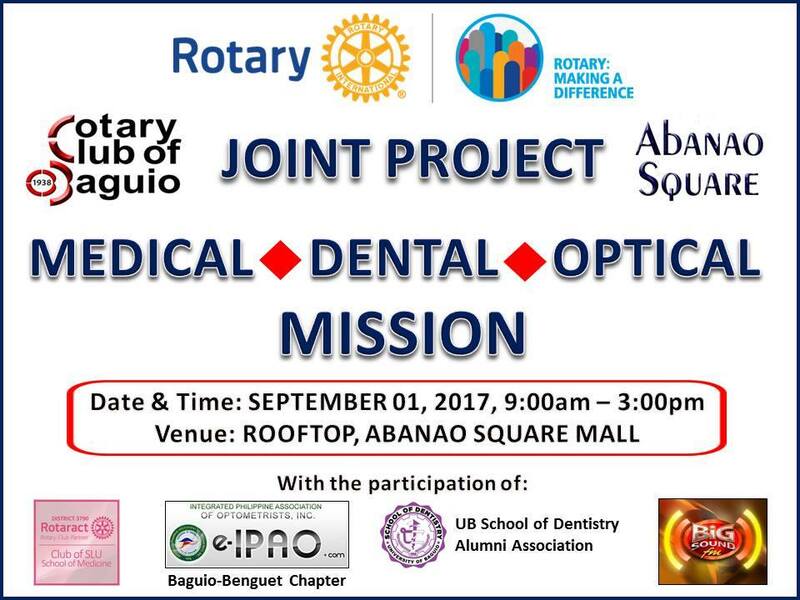 Baguio City, - The Rotary Club of Baguio together with other partners will be conduction free dental, optical and medical mission on September 1 starting at 9 AM to 3 PM at the Rooftop, Abanao Square Mall. 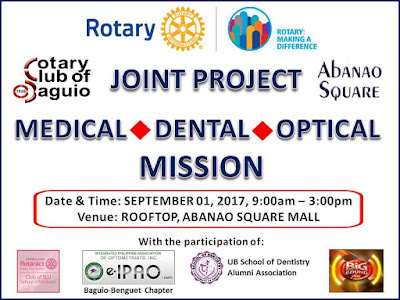 According to the information posted of RCB's Facebook page, the mission is a joint project by Rotary Club Baguio and Abanao Square with the participation of several institutions like the Rotaract Club of SLU, Integrated Philippines Association of Optometrist. Inc - Baguio-Benguet Chapter, UB School of Dentistry Alumni Association and Big Sound FM. The joint project is expected to provide free services like medical consultation, dental services, eye check up and a lot more. Cordillera, - A young athlete Mhage Gerriahlou Sebastian of Luna, Apayao was chosen to play in the inaugural Indonesia-Philippines Goodwill Chess Matches on September 9 - 13 in Jakarta, Indonesia. 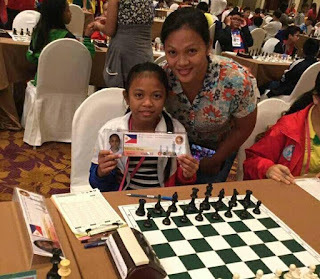 Torre said that Sebastian was endorsed by the National Chess Federation of the Philippines (NCFP due to her excellent performance in the 2017 National Age Group Chess Championship held in Cebu City last May, according to a local magazine. Sebastian is the only player outside Manila who was included in the list to play againts talented chess players of Indonesia. She will be playing in the 12 years old and under category together with other young stars of the Philippines who will be playing in other categories. Meanwhile, the parents of Sebastian have expressed their appreciation that their daughter was selected to be part of the Philippine team. They were surprised and couldn't believe Torre, the well admired chess living legend called them and announced the inclusion of Sebastian considering that there are also other talented players in the country. "It is an honor for us and our Province that Mhage has been selected among the equally talented woodpushers of the country. It is always our desire and Mhage's dream to consistently represent the Philippines in international competition." Sebastion's parents said. Only in Baguio: Where former drug users are training to become professional boxers. Baguio City, - Not all drug users end up killed on the street, some of them are in jail, some of them are hiding and some of them are turning their lives around through boxing. Boxing has long been known to have help those with drug addictions to turn their lives around and make changes in their ways. Some of the famous boxers in the world including Tyson and Manny Pacquiao were known to have used illegal drugs before becoming a world champion. In Baguio, seven drug surrendees took the challenge to be trained to become a boxer and prove that there are better things to do in life than drugs. A boxing tournament dubbed "Boxing at the Park: Laban sa Pagbabago" set on September 2 at the People's Park will feature amateur bouts participated by seven drug surrenderees. This event is organized by the Baguio City Police Office (BCPO) in an attempt to help those drug surrendees have a chance to improve and learn something beneficial for themselves and the community rather than ruining their lives with illegal drugs. Over-all winner in the contest will have a chance to be trained as a professional boxer. "This could be their ticket in becoming professional boxers someday and hopefully turn their back against drugs," BCPO city director Ramil Saculles said in a report by sunstar.com. Saculles is optimistic that this initial boxing event will entice more drug surrenders to take up sports. Boxing coach Tarjhon Mero believes the surrenders have a bright future as he says they are taking up their boxing practice very seriously. Baguio City, - Three Igorot cops who were members of the Special Action Force (SAF) of the Philippine National Police were given special recognition during the SAF memorial day held in Camp Bagong Diwa, Taguig City on Friday. PO1 Moises Kimayong Jr. (PNP-SAF) from Ifugao Province, PO3 Alexis Mangaldan from Bangued, Abra and PO2 Tirso Mantalaba from La Trinidad, Benguet were given the traditional ringing of bells to honor their sacrifice to the country. Both Kimayong and Mangaldan were killed in action in Marawi City while Mantalaba died in a shootout in an anti-drug operation in Patikul, Sulu on September 24 of last year. He was a member of the 24th Special Action Company of the PNP-SAF based in Sulu. The gallantry displayed by these Igorot SAF troopers serves as an inspiration among the policemen to do more in the campaign against crime and illegal drugs which are being pushed by the Duterte administration. SAF commanders assured that full benefits and recognition from the PNP and the government will be given to the family of the SAF troopers. The heroism and sacrifices of these men in uniform will never be forgotten. Cordillera, - Good news to all coffee growers and farmers in the province of Kalinga because a state-of-the-art coffee trading center is going be built this year. The building of the P2.4 million worth trading center which is funded by the Department of Agriculture's Philippine Rural Development Project (PRDP) is expected to be completed by December this year, according to Philippine Information Agency website. The center will have a sorting and storage section for consolidation services as well as some equipment like mechanical dryer, conveyor and others. 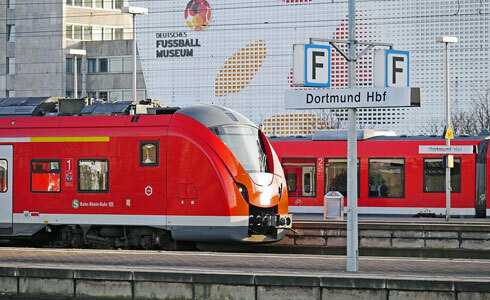 It can accommodate around 75,000 kilograms of coffee beans per month. Coffee growers from different municipalities of Kalinga can bring their coffee beans to the center for sorting and storage. to be strengthened and united for as long as the KCC exists, the operation of the trading center will carry on," said Provincial Project Management and Implementing Unit Head Engr. Domingo A. Balikan. The Kalinga coffee is one of the most popular choice of coffee lovers in the country and abroad because it is organically produced. 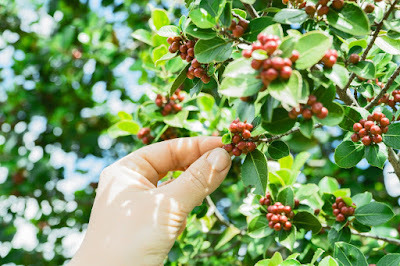 Countries in the Middle East prefer Kalinga coffee because of its acclaimed original aroma and blend that is not present in the taste of other coffee brands. The Kalinga brewed coffee with its renowned "Kalinga Taste" is the major product of the province under the One Town One Product (OTOP) program. The brewed coffee is a product of roasted ground coffee beans usually comes from the blend of three varieties -- robusta, arabica, and exelsa. With the building of the trading center, coffee growers can increase the quality of their coffee and will have a place where they can market their coffee products. Cordillera, - Lepanto National High School (LNHS) located in the Municipality of Mankayan is this years's regional Gawad Kalasag champion in the public-rural school category. The Gawad Kalasag Search for Excellence in Disaster Risk Reduction and Management and Humanitarian Assistance is an annual recognition scheme of National DRRM Council that encouraged the participation of various stakeholders in crafting and implementing DRRM-related policies, strategies and programs to protect or shield the hazard prone communities from the adverse effects of natural and human-induced calamities. "Gawad" is a Filipino term for award and "Kalasag" stands for Kalamidad at Sakuna Labanan, Sariling Galing ang Kaligtasan. LNHS emerged as the champion this year with an average evaluation rate of 86 percent surpassing the 80 percent rating requirement of the board from all the 20 entries in the region. The school will receive a plaque and P50,000. LNHS is among the public schools Lepanto Mining Corporation has been supporting over the years. The company is providing school materials and equipment for teachers and students like books, computers and other school needs. "The Cordillera region is no stranger to calamities.. Lepanto therefor has to proactively and continously improve its disaster preparedness and management programs for the company, its employess and the community. The Gawad Kalasag award of LNHS attests to Lepanto's commitment to preserve and protect its community, especially the children and the students in its in-camp schools," said LCMC Vice President and Resident Manager Thomas Consolacion. Cordillera, - The Sablan Municipal Police station will be conducting a Concert for a Cause sets on September 30 at the Municipal Gym of Sablan at 6.00 in the evening. The purpose of the said concert is to raise money intended for around 1,000 students of the said municipality buy new school uniforms. 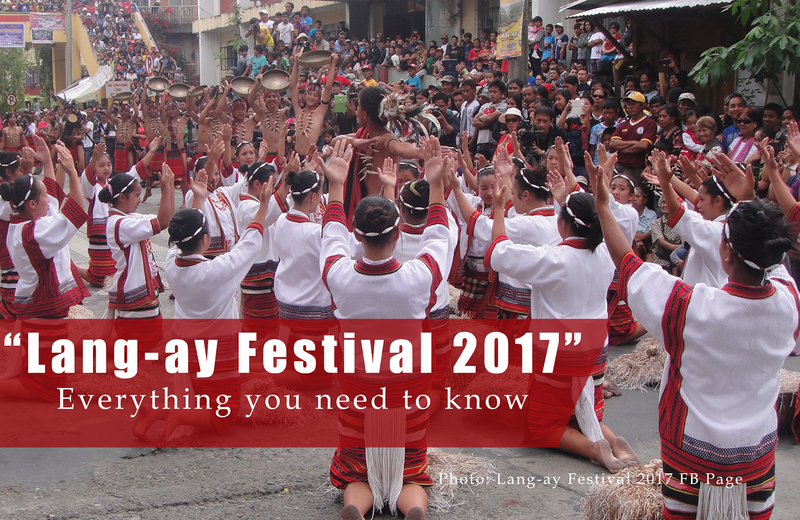 Local Radio station reports numerous police offices in the region were invited to participate in the event including Baguio City Police Office, Police Regional Office Cordillera and Benguet Police Provincial Office. Local artists in the province and Baguio are also invited to join in the concert. PSI Alfredo Dacumos, Sablan Chief of Police invites those who are interested in helping the students to buy concert tickets available at the Sablan Municipal Station. Cordillera, - One-time world challenger Kevin "The Silencer" Belingon from the famed team Lakay of Baguio City finishes Reece McLaren at 1.02 mark of round one proving to the world that he is one of the most powerful strikers in the ONE Championship mixed martial contest today. It doesn't take long for the Igorot fighter to finish the round after he caught Mclaren with a one blinding power punch that led him to the canvas. That was the start of rainfall of several punches to Mclaren that led the referee to cut short the fight to save him for more damages coming from the "Silencer" early in the first round. 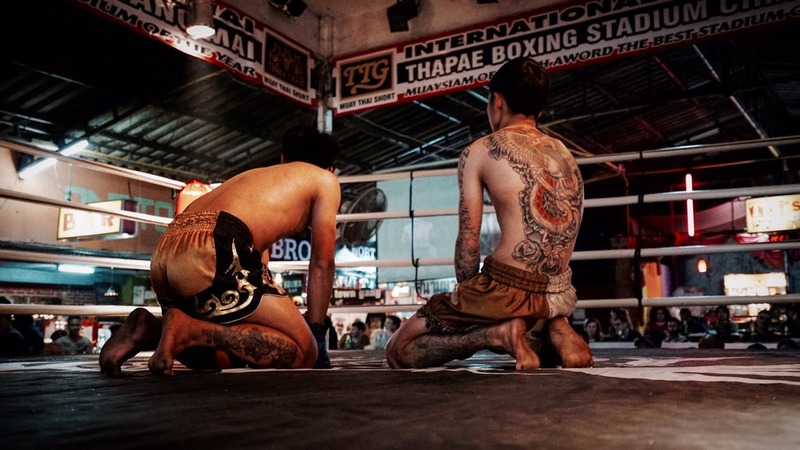 The contest was held on Friday night, 18 August in Kuala Lumpur, Malaysia, and the Igorot has improved his record to 17 wins with five losses. It was the explosiveness and the non-stop onslaught of power punches from Belingon that made the difference. He is furious once the opening bell rings and every punch he delivers come with intense power and speed. The match-up between the two was expected to present an interesting spectacle. 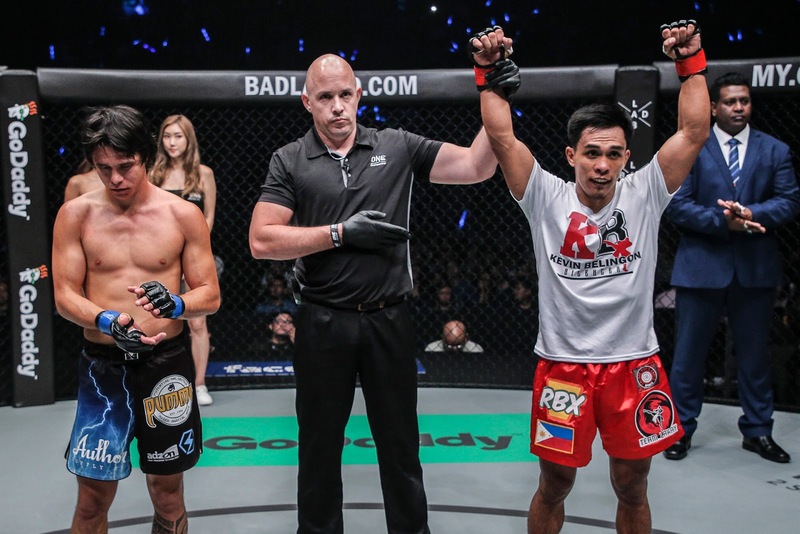 An yes it did, the Igorot fighter, armed with his power and inspiration finished Reece McLaren on the undercard of "ONE Championship: Quest for Greatness" held at the Stadium Negara in Kuala Lumpur, Malaysia. 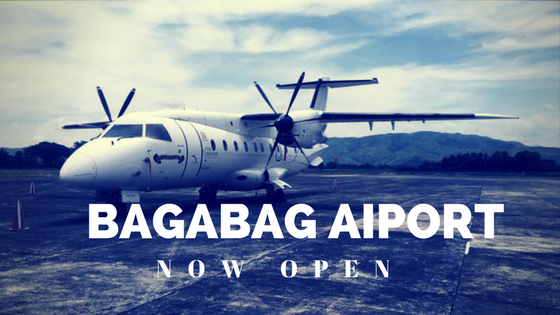 A triumph of Kevin Belingon, a triumph of the Filipino people and a triumph of the Cordilleran people. 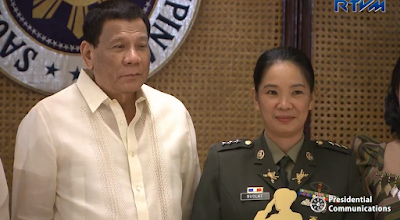 Cordillera, - An Ibaloi cop who is the commanding officer of the PNP-SAF deployed in Marawi was among the special awardees who were given recognition during the 116th Philippine National Police Service Awards in Camp Crame on August 8. 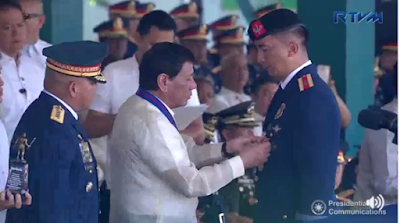 Police Supt, Lambert Suerte, who is the current commanding officer of the PNP_SAF Rapid Deployment Battalion received the award together with four other SAF commandos from Philippine President Rodrigo Duterte. Suerte received the award for his exemplary performance in the ongoing battle in Marawi City where ISIS-inspired Maute members had occupied. "A special award is presented to Police Supt. Lambert A. Suerte, Special Action Force, for his exemplary performance on law enforcement that led in the successful conduct of offensive clearing and counter-sniper operations in Marawi City that prevented further acts of terrorism," Suerte's citation read. Suerte is a proud son of Bokod, Benguet and served the Cordillera region before he was called by PNP-SAF Director Benjamin Lusad because of his vast experience in police operations, reports Baguio Midland Courier. Back in 2014, Suerte was also given recognition for his service by President Aquino. He was given the Leadership Award, which is the highest award the province of Benguet confers to its outstanding sons and daughter, who has made difference to peoples' lives. Photo Credit: Manny Piñol FB page. 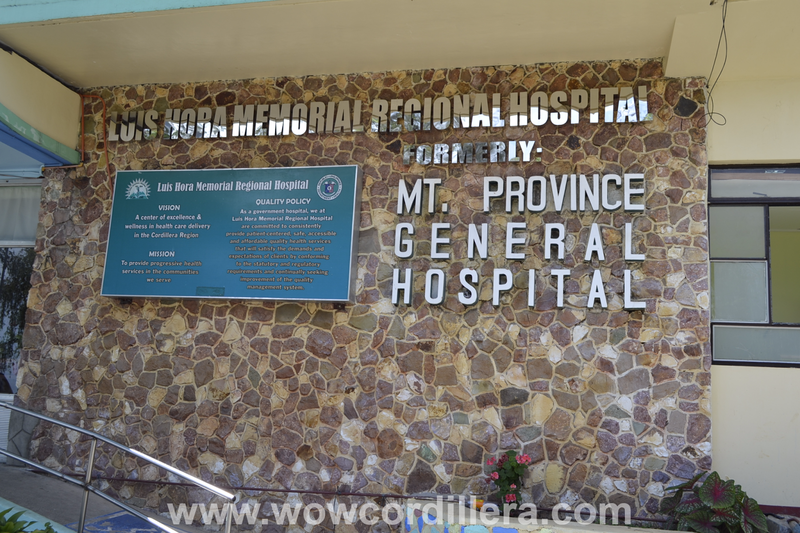 Cordillera, - There are no cases of bird flu in the province of Benguet. This was the announcement of Governor Cresencio Pacalso during his State of the Province Address held at Benguet Capitol yesterday. The announcement came after a case of bird flue outbreak was detected in Pampanga that prompted Agriculture Secretary Emmanuel Piñol to quarantine the area where an estimated 200,000 fowls, including chickens and ducks were infected. The provincial government has already been alerted and set up quarantine areas along major entry points to thwart any entry of poultry products that might be infected. However Pacalso, said, check points are not enough so he asked the help of the concerned citizens to be vigilant with the entry of poultry products coming from Pampanga and report to authorities immediately. 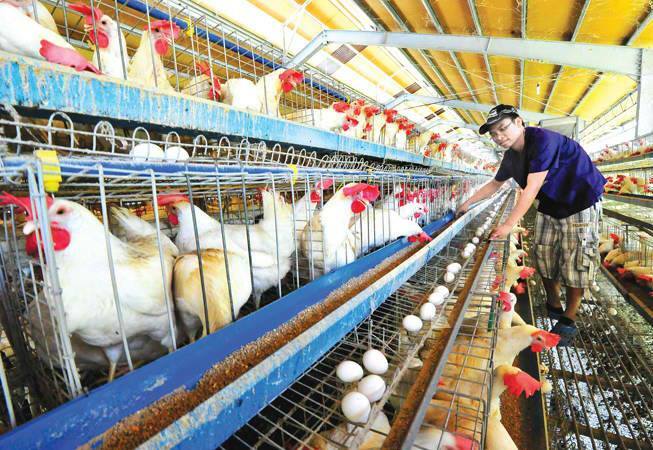 On the effect to the farmers who are using chicken dungs as fertilizers, Pacalso believe that only around five percent of farmers will be affected. "While it is true that most farmers use chicken dung as fertilizers, we believe that only five percent of the vegetable farmers will be affected because we still have sources coming from Bulacan and Nueva Ecija." Pacalso said. Regarding the avian flu scare, DA Sec. Piñol assured that public that bird flu in Pampanga should not cause panic to the public as opposed to some rumors on social media that spread fear about consumption of products coming from the province. "I would like to contradict the public's belief that the avian flu they know is harmful to humans. There is a lot of misinformation circulating to the public. There is no way that avian flu would be transmitted from birds to humans," he said. Photo Credits || Winston Kilimanjaro Creones Tiwaquen. Cordillera - A video of a student from Mountain Province that explains the culture of the Igorots has gone viral on social media. The video created and uploaded by Winston Kilimanjaro Creones Tiwaquen, a student of Saint Louis University has reach more that 750,000 views, 15,000 shares and 31,000 reactions from netizens as of this writing. His 5-minute video is about the long-time misconceptions of many Filipinos about the Igorots of Cordillera. One question that are commonly thrown about them is, do Igorots have tails. Tiwaquen explains in his video with a complete combination of geography and sociology lesson in a funny way that Igorots are humans and they are Filipinos residing in Cordillera which is obviously part of the Philippines. 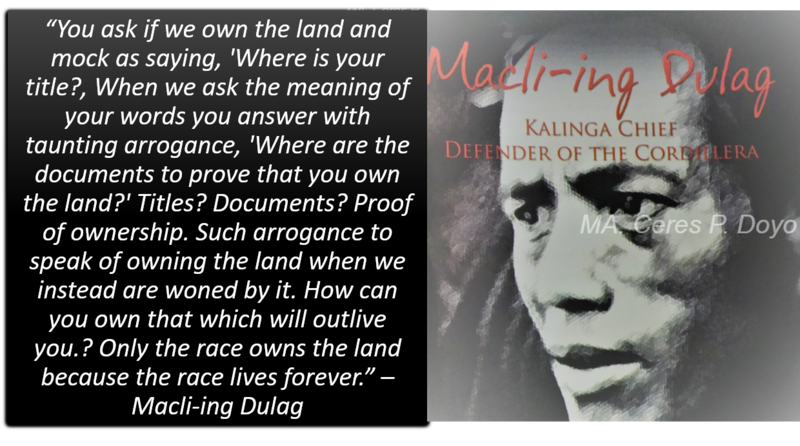 The misconception of this indigenous people in the highlands was brought by the inaccurate information about them by people of long ago who might visited the Cordillera and saw Igorots in their tribal attire. They could attribute that Igorots have tails because of their looks when they wear g-strings or wanes that look like a tail when viewed from a distance. The visitors knew that fact that these are not tails but they took these as jokes when telling to other people in the lowlands, thus the idea spread and now becomes a question you could hear from the Tagalogs, Bisayas and Ilocanos. Winston logically pointed out, Igorots are humans, Filipinos are humans. THEY DON'T HAVE TAILS, they just have big booties. 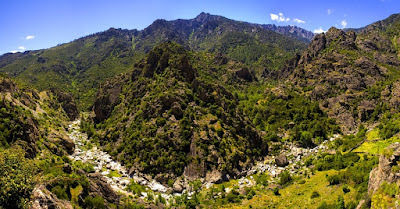 Some of the questions Winston clarified in his video are, do they live in the mountains, are they civilized, do they have internet and many more. It is time that those questions and misconceptions about the Igorots must stop and through the use of the so called technology and internet, Filipinos as a whole must be correctly informed. Thanks to this young student from Mt.Province, the Filipinos are now getting informed. Watch his video below, and don't forget to share. PCOO Sec. Andanar sits with Mayor Domogan and tries Igorot dish 'Pinikpikan'. Photo Courtesy || Ryan Dale B. Mangusan. Baguio City - Presidential Communication Operation (PCOO) Secretary Martin Andanar has tasted one of Igorot's popular dish known as 'Pinikpikan' together with Cordillera leaders and regional directors during a meeting on August 12. Pinikpikan is a native chicken dish in the highlands of Cordillera which is prepared by beating parts of the chicken with a stick and burning the feathers and skin with fire. The process of slight beating and burning are what makes the soup delicious. Some cooks include the special ingredient called Etag which adds to its intense flavor. The Pinikpikan served to PCOO Sec. Andanar was personally cooked by Baguio City Mauricio Domogan, according to a source. 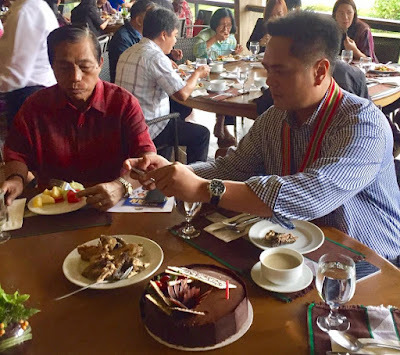 Andanar was in Baguio to meet with leaders and directors in the Cordillera region during his visit at the El Cielito Inn Hotel on Saturday, August 12, to strengthen information and communication networks in all level. 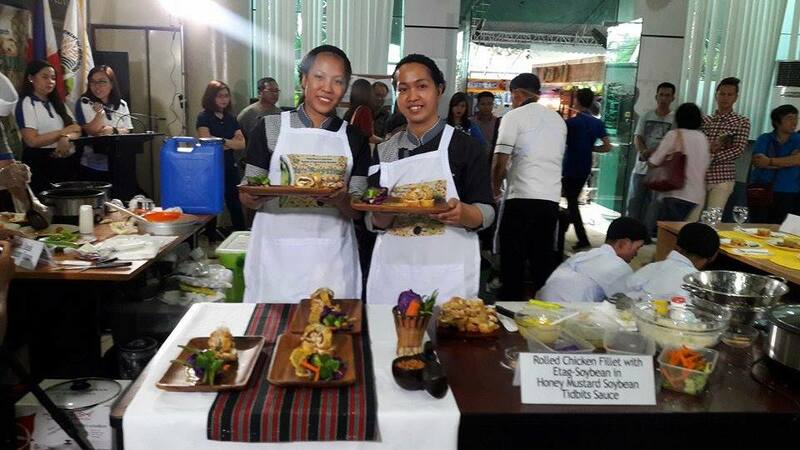 READ ALSO: BSU HRM students' etag dish win in cooking competition in Manila. He also attend press conference with members of the media where he answers questions pertaining to different topics, among which are the PCOO's programs and thrusts for communication networking, updates on the country's hosting of the Association of Southeast Asian Nations (ASEAN) summit, federalism and updates on President Rodrigo Duterte's programs and activities. 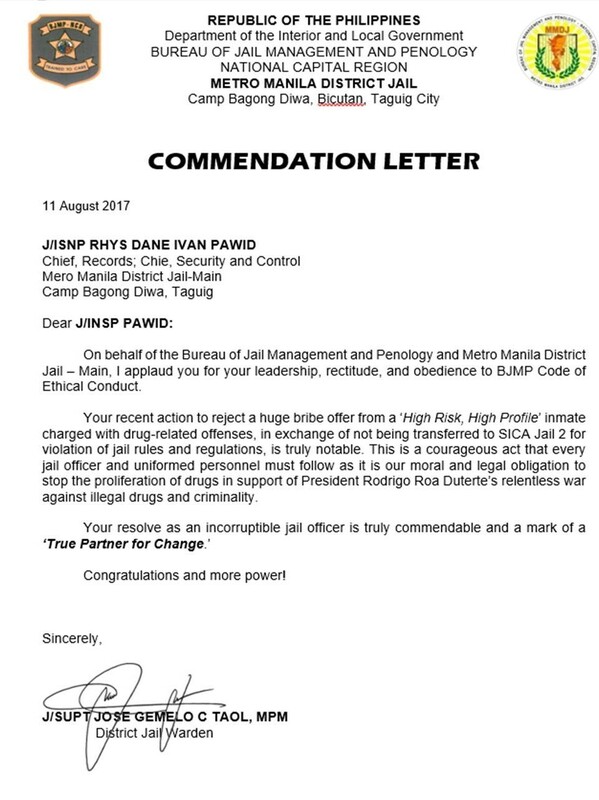 Cordillera - District jail inspector JINSP Rhys Yvan Dane Pawid from Cordillera conferred a commendation for his act of refusing to receive a huge amount of bribe money from a high profile inmate in Metro Manila District Jail-Main Camp Bagong Diwa in Taguig city. The certificate of commendation was given to JINSP Pawid by the District Jail Warden JSUPT Jose Gemelo C. Taol. In a post on Facebook by Metromanila Districjail Bjmp it wrote: "Our District Jail Warden JSUPT Jose Gemelo C. Taol, MPM conferred a Commendation to JINSP Rhys Ivan Dane Pawid for courageous act of rejecting a huge amount of bribe money from a 'High Risk, High Profile' drug inmate in exchange of not being transferred to SICA Jail 2 for violations of jail rules and regulations. JSUPT Taol encouraged the personnel to emulate JINSP Pawid as "it is our legal and moral obligation to free this country of the scourge of drugs." JSUPT Taol shared. Cordillera - The young and brave fighter from Cordillera, Jeremy Pacatiw will come unstoppable on August 12th for the Brave Combat Federation MMA event where he will come face to face with the Brazilian striker Thiago Coleta. The 21-year old Pacatiw from the famed Team Lakay is currently signed a contract with the Bahrain based Brave Combat Federation. His opponent, Thiago Coleta from Curitiba, Brazil is a skilled grappler and a fierce striker whom Pacatiw will find it challenging especially Coleta will be using his hometown advantage which would expected to help boost confidence on his part. But the young Cordilleran fighter is not intimidated and confidently said in an interview that he will be raising the Philippine flag after the fight. "I fee very proud to represent Philippines in Brazil. The reaction that I got from Philippine when I won a tough fight in short notice was overwhelming. Win or lose, I know that Philippines is there always to encourage, motivate and support me. That is my strength. I am proud of the culture of Philippines that teaches you to depend on your efforts relentlessly till you achieve your goals." Pacatiw said. If Coleta uses his grappling and striking skill, Pacatiw will be using his speed and cardio to win the fight. This was proven during his comeback victory against Chaitanya Gavali from India in Brave 5 last April. 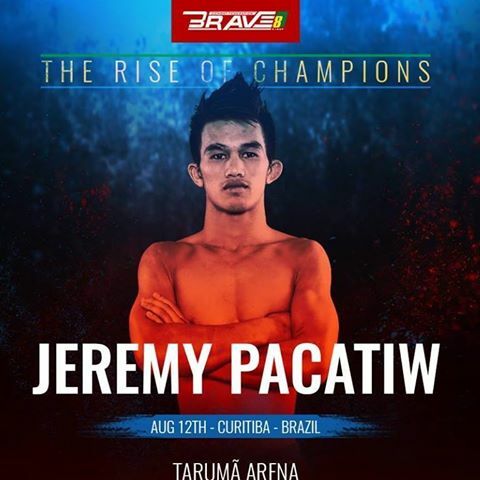 Jeremy Pacatiw is the first Filipino fighter introduced to Brazil by Brave Combat Federation. Mischelle Ramos Junio in the right with Ma'am Angeles. Photo Courtesy: Junio's FB account. Cordillera - A member of the Philippine National Police non-uniformed personnel from Baguio-PNP landed top 2 in the recently concluded quest for Best NUP in the Police force. 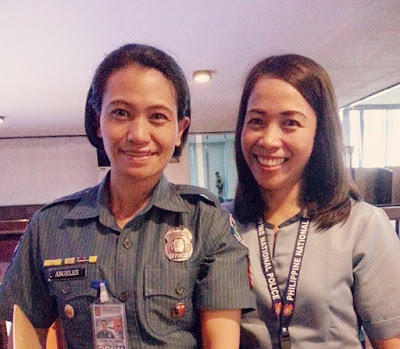 Mischelle Ramos Junio from the crime registrar of BCPO station 8 and BCPO headquarters ranked 2nd in the search that covered 18 regions in the country. "I landed at Rank No.2. I was not able to get the most coveted Best among the Bests but reaching this far out of 18 regions is already a win," Junio wrote in his Facebook account. "It was a humbling experience and a challenge to keep on doing our best not for ourselves but for the calling that was laid upon us. Truly, if we want to be called the BEST," Junio added. Junio serves in the PNP for five years in this competition is the first time Baguio City Police Office was endorsed. She was selected as one of the best NUP for her outstanding accomplishment as crime registrar during her service in the year 2016. Her job as a crime registrar includes conducting crime analysis in which the police use it for intervention plans. source | Bombo Radyo Baguio || Mischelle Ramos Junio FB page. La Trinidad - Two students of Benguet State University (BSU) emerge as champions during the soybean cooking competition held in Diliman, Quezon City last August 8. Miss Maravilla Senado and Miss Pamela Jeane Remiendo presented their special dish during the 13th Agriculture and Fisheries Technology Forum and Product Exhibition sponsored by the Bureau of Agriculture. 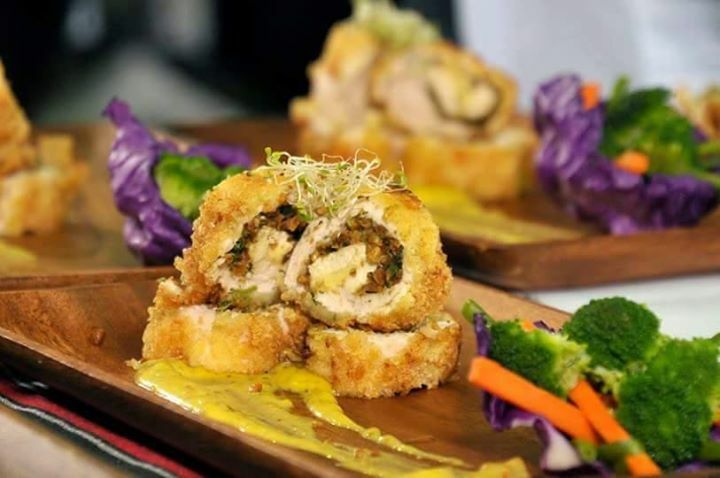 Their dish called "Rolled Chicken Fillet with Etag-Soybean in Honey Mustard Soybean Tidbits Sauce"eclipsed other entries from other state universities in Luzon. The dish is easy to prepare, healthy and affordable according to Rodeliza Flores, coach and faculty of the College of Home Economics and Technology. "We wanted to give them (the organizers and judges) the Cordillera, thus, the inclusion of etag in the recipe", said Flores when asked what inspired the concept of the dish. The dish was prepared for an hour with carrots and broccoli on the sides. It also costs Php 80.00. With the winning, the University will be given a 1 million research grant for soybean production, processing and product packaging. The winners were also given certificates, plaque and an incentives according to BSU official FB page. Cordillera - The signing of the Republic Act 10931 or "Universal Access to Quality Tertiary Education Act" by President Rodrigo Duterte on August 3 will now provide free education to over a million students in public tertiary and vocational schools all over the country. The Act which was ratified by Congress in May 2017 and was transmitted to the Office of the President on July 5 will now grant full tuition fee subsidy to students in state-run and local universities and colleges including technical-vocational schools. 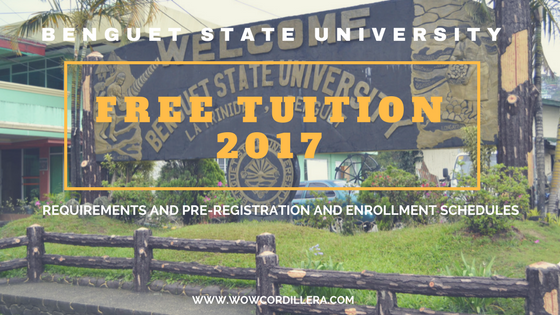 There are a total of 112 state colleges and universities in the country that will start granting free tuition fee to students starting 2018-2019. 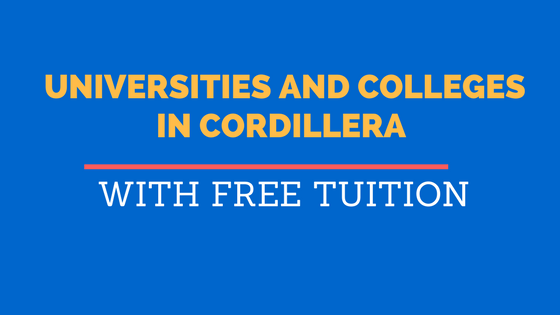 In Cordillera region (CAR), 6 universities and colleges are mandated to offer Free tuition next year. 6. Mountain Province State University (formerly the Mountain Province State Polytechnic College. Students who will enroll in these universities will not pay for school charges such as entrance fees, registration fees, library fees, computer fees, laboratory fees, school ID fees, athletic fees, medical and dental fees, cultural and other similar or related fees. Students who are poor will also provided subsidies and stipend under the student loan program where they can borrow money to their finance educational related needs. BSU and KMITL sign MOU. Cordillera - Benguet State University and King's Mongkut Institute of Technology Latkrabang have signed a Memorandum of Understanding (MOU) in many areas of educational cooperation, research and development. According to BSU website, the purpose of the agreement is the collaboration on research and development between faculty members and graduate students where KMITL will find the appropriate laboratory and provide logistic requirements needed to complete the research. Under the collaboration, both institution have agreed to exchange undergraduate students for professional internship program as well as faculty members and scholars to conduct lectures and advance studies. Also included in the agreement is the promotion of cultural activities and interaction through the encouragement of Thai and Filipino cultures and languages. The MOU was officially signed by BSU President Dr. Feliciano G. Galora Jr. and Vice President for Academic Affairs Dr. Tessi M. Merestela with the KMTIL representative Dr. Patthraphon Patthrarangsarith, Department of Agricultural Education and Asst. Prof. SuntiTungtrakool, Head of the Dept. of Engineering Education. Both leaders expressed hope and optimism that the agreement will be uphold and will benefit the institutes by continually working together and moving forward. Earlier, the KMITL staff had the chance to tour BSU compound and visit different centers like the Benguet Agripinoy Training Centre (BAPTC), Agribased Technology Business Incubator/Innovation Centre and Benguet Vegetable Training Centre, among others. 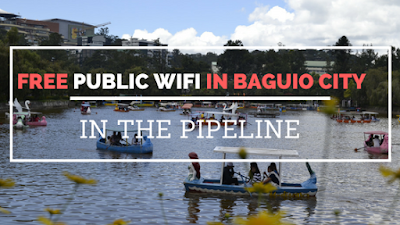 Baguio City - In an effort to provide internet connectivity to all Filipinos nationwide, the government and Smart Telecoms are now beefing up their project of providing residents of Baguio City a Free public Wifi. The government's online news portal, Philippine Information Agency reports that the public wifi project is already in the pipeline at the Baguio City Hall and some famous tourist destinations like Burnham Park, Session Road and Mines View Park. The project which is to be done in partnership with PLDT will also include putting up wifi spots in some known universities in Baguio and La Trinidad such as the University of Baguio and Benguet State University in La Trinidad, Benguet. The project known as "SmartSpots targets to provide fast internet access to both locals and tourists in all usual hangout places in the city. In fact the project was already been set up at the "The Camp", one of the known hangouts along Leonard Wood Road. Having a reliable wifi connection is a plus factor for the city tourism industry as this will help tourists in accessing the internet to look for accommodation and places to hangout, according to Sandy Carlos of the Camp HR Operations Director for Corporate Innovators. This would also benefit students in the city to be able to use the free public wifi for their school projects, research and assignments. The Free Internet Access Act which was signed by President Rodrigo Duterte is part of the government's plan to promote knowledge and information to all citizens to enable them to participate in the fast evolving information and communication era. Cordillera - A six-year-old boy who fell into and was swept away by the strong current of the river in Tinoc, Ifugao has been the center of a rescue operation of the municipal police, fire crews and some respondents to locate his whereabouts. The kid was identified as Jaypee Martin Mat-an, a kindergarten pupil and resides at Ahin, Tinoc in the province of Ifugao. According to the initial investigation, on June 2nd, Jaypee and his friends went to the river to swim at around 12 noon during their lunch break. The report said, Jaypee was standing on a rock when he suddenly slipped and fell into the river. His friends tried to save Jaypee but they were unable to do so because of the strong current of the river at that time. Search teams were immediately mobilized to areas along the river where Jaypee could be at but they have yet to locate him. OFW recieves Php50,000 under the new OWWA MEDPlus program. Cordillera - The Overseas Worker's Welfare Administration - Cordillera (OWWA-CAR) has awarded cash benefits to an OFW from Saudi Arabia who went home due to illness. 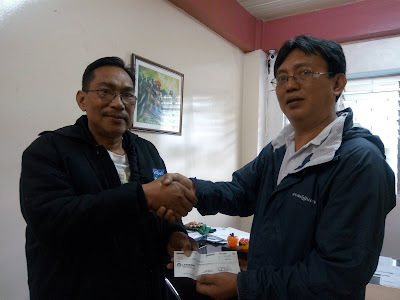 Mr. Fernando Aspuria received the amount of P50,000 pesos from the OWWA-CAR office on August 2 as medical assistance under the newly implemented OWWA benefits called MEDPlus. Mr Aspuria was an OFW for almost 17 years in the Kingdom of Saudi Arabia as a Trailer Truck Driver and went home on February this year due to stage 5 chronic kidney disease. He learned about this new program of OWWA for OFWs suffering from illness through social media and went to OWWA-CAR office in Baguio city and was given cash assistance right that day. According to OWWA-CAR, Mr Aspuria was the first beneficiary of the said medical assistance in the region. Aside from the MEDPlus he recieved, he was also advised to apply for Balik Pinas Balik Hanap Buhay Program (BHBHBP) which he is expected to received P20,000 for livelihood assistance. The MedPlus Program for OFWs was designed to provide supplemental medical assistance for active OWWA and Philhealth members with dreaded diseases and were hospitalized either at the jobsite of while in the Philippines. OFWs who were hospitalized overseas or here in the country on February 1,2017 onward are covered under this program. OWWA-CAR started accepting applicants for MEDPlus on June 15, 2017. 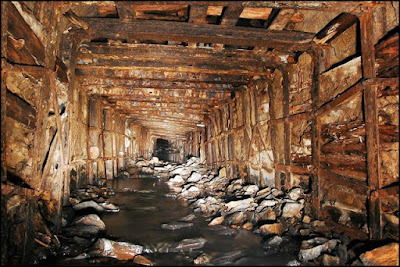 Baguio City - Eleven families were reported to have been evacuated in Sitio Goldfield, Barangay Poblacion in Itogon Benguet after water from a tunnel of an old mine was seen leaking. Families residing near the area were advised by authorities to evacuate due to a possible land erosion caused by the said leak of an old mine owned by Atlas Mining and Development Corporation. Local radio station reports that evacuated families were temporarily sheltered at the Goldfield Elementary School where they were given relief goods and later were allowed to go to their relatives. Police authorities of the Itogon Municipal Police Station has put up police line to prohibit residents from returning to their homes until the area was studied and declared safe. 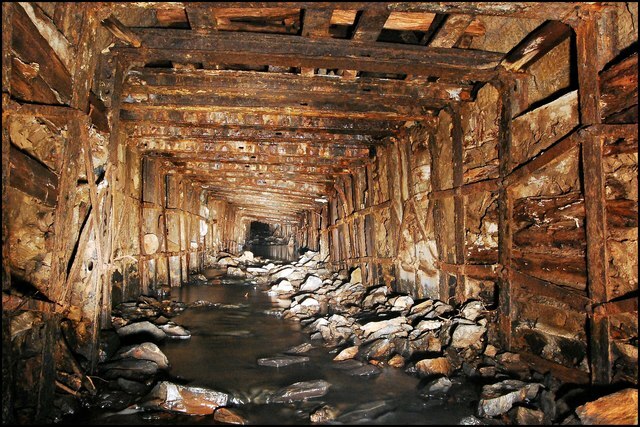 The local government of Itogon, Benguet Corporation and Mines and Geosciences Bureau will conduct today a study to the area to determine the cause of the water coming from the tunnel. Itogon Mayor Victorio Palangdan has appealed to the affected families not to return yet to their homes and allow authorities to conduct a study to determine the cause of the problem. The Philippine Military Academy will be administering the PMA Entrance Examination on August 20, 2017 in forty (40) examination centers all through-out the country. The PMA Entrance Exam is the first stage in the selection process for cadetship in the premier leadership training school in the country. 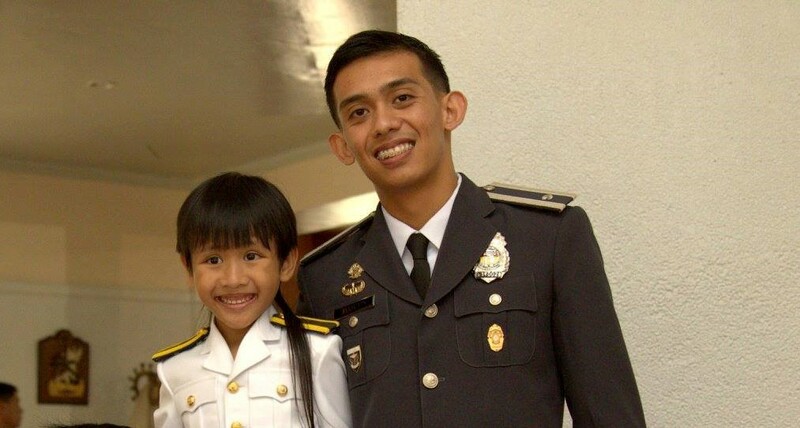 PMA Cadets enjoys a full government scholarship. 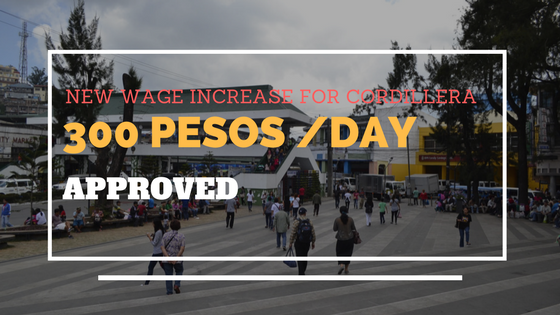 It means, they do not have to pay any single centavo during the entire years of training in the Academy where they will earn a Bachelor of Science Degree. They are also commissioned as 2LT and Ensigns in the Armed Forces of the Philippines upon graduating from the Academy. This year marks the initial batch of Grade 12 students under the K to 12 Basic Education Program who will be graduating by 2018. They will be allowed to take the PMAEE provided that they will graduate before 01 April 2018. PMAEE applicants will also come from college-level students who graduated from 4th-year High School of the old curriculum. - No administrative/criminal case, must pass the PMAEE, and should have been born from April 01, 1996 to April 01, 2001. Successful applicants will compose the PMA Class 2022 who will be officially received in the Academy in an Oath-Taking Ceremony and Reception Rites on April 01, 2018. For those who applied online or by mail but did not receive their exam permit, you will be treated as walk-in applicants.